When the NES Classic Edition was first released, we deemed the $40 8Bitdo NES30 as the best wireless controller alternative for the tiny console. But now that Nintendo is selling the NES Classic once again starting today, I’m more excited for 8Bitdo’s new gamepad that’s an even better wireless alternative with a cheaper price tag and a dedicated ‘home’ button. The N30 loses the NES30&#39;s shoulder buttons, but gains a dedicated ‘home’ button for easily accessing the NES Classic Edition’s main menu. Unlike the NES30, however, the N30 is designed to only work with the NES Classic Edition. Instead of Bluetooth, it uses a dedicated wireless 2.4GHz connection to an included dongle, so once it’s powered on, the gamepad is immediately and automatically paired and ready to play. The action buttons have been re-arranged to match the layout on the original NES gamepad, and the NES30&#39;s shoulder buttons have been removed. 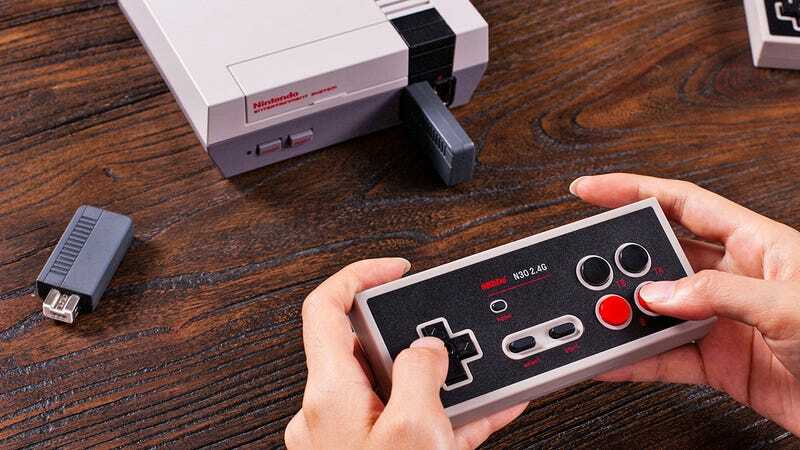 The N30 gains a ‘home’ button for accessing the NES Classic Edition’s main menu, which is functionality the NES30 had too, but a dedicated one-click button is definitely a better approach. 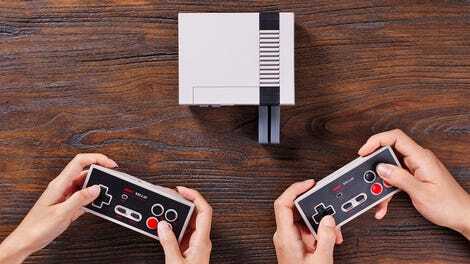 At $25 each, the N30 is a cheaper way to upgrade both of the NES Classic Edition’s stock controllers. The best feature of 8Bitdo’s new N30 gamepad is undoubtedly its $25 price tag, though. That’s $15 cheaper than the $40 NES30, making it more economical to buy a paid of N30&#39;s to replace both of the controllers that ship with the NES Classic Edition. Making your decision even easier is the fact that 8Bitdo doesn’t actually sell the NES30 anymore, after a major update to its product line at E3 a few weeks ago. So when the NES Classic Edition goes on sale again tomorrow, this is definitely the wireless controller you’ll want to go with it.